← September is National Disaster Preparedness Month! Wilson Co. DART will be heading on up to Clarksville Tn., October 22 and 23, 2016 for the American Kennel Club Dog Show hosted by the Clarksville Kennel Club. The New DART Trailer will be on display and the Team will be on site, talking to the public. On Sunday, October 23, the Mayor will be presenting the BEST IN SHOW in front of the WC DART Trailer, with the WC DART Team! 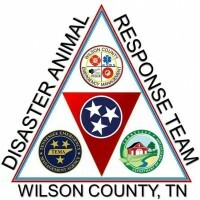 What an awesome event, giving WC DART the opportunity to say Thank you to the Clarksville Kennel Club for their donation to Wilson Co. All volunteers are encouraged to attend!